The Red line extension is a 5.3mi extension of the busiest rapid transit rail system in Chicago. Image courtesy of Chicago Transit Authority (CTA). 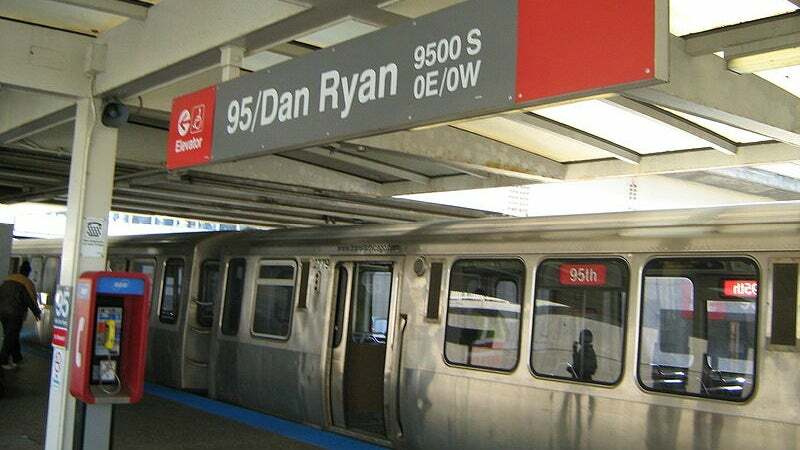 The Red line extension will begin from the 95th Street Terminal. Image courtesy of Zol87. A new station will be constructed at Michigan Avenue as a part of the RLE project. Image courtesy of OmidGul. The Red Line Extension (RLE) is a proposed 5.3 mile (8.5km) extension to Chicago’s Red Line, which runs along 23 miles (37km) of track and is operated by the Chicago Transit Authority (CTA). The extension project is part of the Red Ahead Programme, a comprehensive project initiated by CTA to expand Chicago’s Red and Purple Lines. The RLE will extend the Red Line from the 95th Street Terminal to 130th Street in Chicago, providing rapid transit rail access to the low-income, transit-dependent Far South Side area. It will therefore enables faster access to jobs, education and other public transportation. Construction is scheduled to begin in 2022, and operations are expected to start in 2026. Estimated to cost $2.3bn, the project aims to create 29,000 jobs in the region. The preferred plan for the project is named the Union Pacific Railroad Rail (UPRR) expansion. Under the UPRR, the Red Line will be extended from 95th Street Terminal to 130th Street. It will run south along an elevated structure for approximately 2.4km, along the I-57 Expressway to Eggleston Avenue. The line will travel southwards along the same corridor until 111th Street, where it will turn southeast and cross over the Canadian National / Metra Electric tracks towards the east of the South Prairie Avenue, near 119th Street. It will continue southeast along the Northern Indiana Commuter Transportation District Chicago South Shore & South Ben Railroad, using a portion of the Indiana Harbor Belt (IHB) alignment, before terminating at 130th Street. CTA’s elevated structure will be placed east or west of the Union Pacific Railroad from 99th Street to 118th Street, depending on the option chosen. The extension will also include the construction of new stations at 103rd Street, 111th Street, Michigan Avenue, and 130th Street. The stations will include bus transfer options and a total of 3,700 parking spaces. A new yard and shop will be constructed at 120th Street. CTA shortlisted one preferred alternative out of multiple options considered for the Red Line extension in 2014. The preferred alternative has two possible options (the east extension and the west extension), one of which will be finalised based on public consultation, environmental review and federal financing. A draft environmental impact statement (EIS) for the project was prepared by CTA and the Federal Transit Administration (FTA), and made available for public consultation in October 2016. Based on the statement, CTA will prepare a final EIS selecting either the east or west extension as the final option by late 2018. CTA will then begin a project development phase, followed by a final engineering phase. It will move into the five-year construction phase once it receives funding from the FTA. "The extension project is expected to reduce commute times, and improve mobility and accessibility by connecting isolated areas." The extension project is expected to reduce commute times, and improve mobility and accessibility by connecting isolated areas. It will also provide links between affordable housing, jobs, educational opportunities and other public transportation. New stations along the RLE will attract investment for businesses in the neighbourhood. The new yard will be a modern, cost-effective storage facility offering preventive railcar maintenance for the extension project. Estimated investment for the project is $2.3bn, which will be secured through a mix of government and local funds. The CTA had already announced $5m of funding in 2014 for planning works. It also plans to establish a transit-only, tax-increment financing district authorised by the General Assembly to provide local funding for the project.